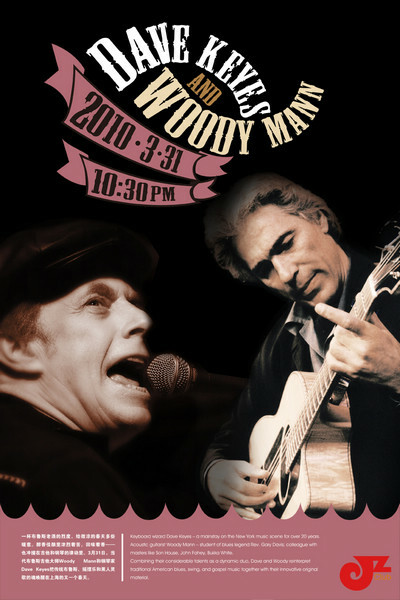 Dave Keyes and Woody Mann, two American legends of the blues team up for an exciting show of virtuoso playing and vocals – from classic blues roots to contemporary originals – bringing the past right up to the present. New York City native keyboardist, singer and songwriter Dave Keyes is a 30 year veteran of the Blues, Roots and Americana music scene. He has released five highly acclaimed albums under his own name, has been named the “Best Unsigned Artist” by Keyboard magazine, and also has been nominated by the Blues Foundation for the annual Pinetop Perkins best piano player award. His sixth album titled “The Healing” featuring Popa Chubby and many other special guests is slated for release in May. 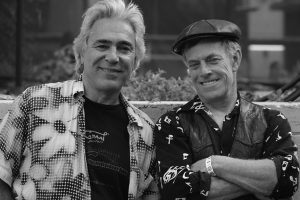 Dave has played with some of the most important figures of blues, roots and folk music, having had long musical relationships with Odetta, David Johansen, Bo Diddley, rockabilly legend Sleepy LaBeef and gospel great Marie Knight among many others. In addition to his own solo gigs and gigs with the Dave Keyes Band, he currently can be found playing with Popa Chubby, Rock and Roll Queen Ronnie Spector, and gospel/blues innovator Alexis P. Suter and the Ministers of Sound.